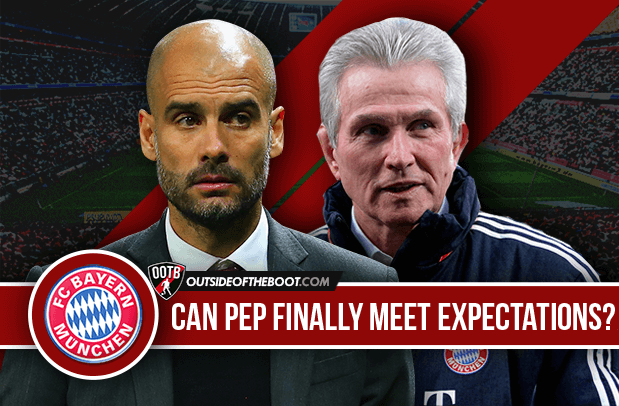 Can Pep Guardiola finally meet expectations at Bayern? Pep Guardiola is a man who continues to be an enigma. Heavily lauded by many, openly criticized by some, the Spaniard is most definitely unique. He has his own set of ideas, ideas perhaps inspired by the work of other managers but with his own spin. His spell at Bayern has been a somewhat strange one. Domestic dominance overshadowed by continental disappointment has characterized his 2 years at the club. Jamie Currie wonders whether the former Barca man can finally emulate his predecessor at the Bavarian club and win the treble. Pep Guardiola is a man that screams class when you look at him, always immaculately dressed, and he is the consummate professional. He plans everything to the most miniscule of details, but that’s what it takes to get to the top of your profession and become a winner – something that Guardiola is all too familiar with. His Barcelona side is up there with the best club sides that have ever stepped onto a football pitch. He moved tiki-taka – a term that he hated – on to levels that it had never been seen before. The side that won a historic treble in his first season playing football was mesmeric – and that’s still probably doing it an injustice. But since leaving Barcelona and taking his year-long sabbatical, there has been something missing, something that I can’t quite put my finger on. 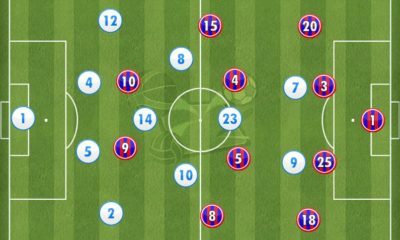 It’s been pretty plain sailing for the Catalan tactical genius at Bayern thus far; he has managed to win back-to-back Bundesliga titles with relative ease, quashing anyone who gets within arm’s length. Admittedly, it’s not been too difficult for Bayern to win those titles; they signed Lewandowski from Dortmund last summer hampering their chances of putting up a real challenge for the title. Beyond the two Bundesliga triumphs and the one DFB Pokal the season before last and the UEFA Super Cup along with the FIFA Club World Championship, there has been one thing missing so far from his two years in Bavaria: a treble. Yes, it’s not particularly reasonable to expect Guardiola to win one every year, but you have to wonder, will it be a case of Guardiola never being loved by some sections of the Bayern support if he fails to emulate Jupp Heynckes’ achievement? That is the burning question. He stood there, head bowed, and looked pretty crushed as Dortmund ended their quest for Guardiola’s first treble as Bayern boss. That wasn’t the last of his pain, Bayern were left completely shell-shocked, as Barcelona knocked them out of the Champions League semi-final in convincing fashion. Bitten by the hand that used to feed him, that wouldn’t have gone down well with Guardiola and only gave the doubters ammunition to fire his way. That will always be thrown in Pep’s face, that he cannot win a treble without Lionel Messi and his teammates. The Catalan had been linked with a move to Manchester City all summer, but he will no doubt see out his contract in Germany. This summer, the squad has had an overhaul. Bastian Schweinsteiger – after his long association with the club – left to join Manchester United and former manager Louis van Gaal. But, he added Sven Ulreich, Joshua Kimmich and the long-awaited signing of Chilean midfield dynamo Arturo Vidal. 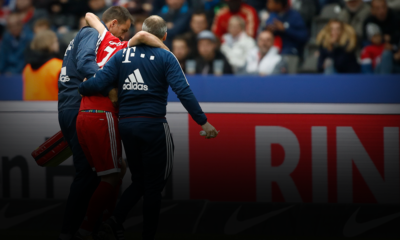 They are without doubt favourites to win the Bundesliga yet again – and it will take one almighty effort from the likes of Wolfsburg and Borussia Dortmund to stop the big red Bavarian express train. But for Pep, he looks like he is in his last season at the Allianz Arena. He will want to go out on a high with a treble of winners’ medals in his back pocket. It cannot be four trophies this coming season as they lost the German Super Cup final on penalties at Wolfsburg. So, they will be going flat out to win the other three competitions that they are involved in. Pep is not everyone’s favourite in Germany or amongst the Bayern support – but he will always look for ways to win and improve this side because the man is a winner. He fell out with the club doctor last season, which ended in him leaving the club. That was the start of some fans becoming wary of Pep. He will leave Bayern in a better shape with a younger squad than what he was left by Jupp Heyneckes. He still had to get the squad to buy into his methods and get them to produce the consistency and win league titles. 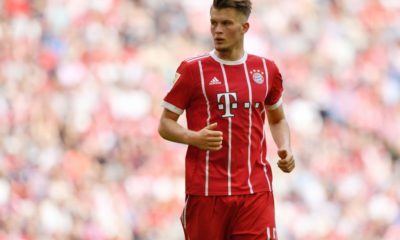 This coming season – starting with a home DFB Pokal tie against Hamburg – could be his final chance to achieve what many expected of him when he walked through the door two seasons ago. They look in very good shape with the additions of Vidal and Douglas Costa, which will give them some attacking bite. Although the defence could still be an issue, if they manage to get a few quality additions added to the backline – potentially sign a new right-back and one centre-back they could prove formidable. Even though Pep’s preference has been 3-4-3 in pre-season he will want all bases covered, such as the man he is. This season is all about writing the wrongs and proving not only to the wider audience but to himself that he can do what he was brought to Bavaria to do before potentially moving on. If he manages to win the treble, he might not be loved in the same manner as his predecessor, but he will finally have achieved the aim that he was set after taking over the reigns from Heynckes. It’s more than likely that Guardiola will go to England come next August, but before he goes, he has some unfinished business left in Germany – and he will be right up for doing it in true Pep Guardiola fashion: winning games of football in a hard-working but pleasing-on-the-eye manner. That’s what Guardiola has been all about since taking his first job in management at Barca B. There is no doubt that he will not change the philosophy or style he very much believes in and that has brought him countless trophies so far in his managerial career. The fans will be right behind him in doing so but when the season is over, a fresh start for Bayern and Pep may well be what is needed. Jamie has a keen passion for La Liga, EPL and Scottish football. He's written for publications such as the Set-Pieces. He's also a Rangers fan. Have Spurs stagnated after the sale of Gareth Bale? Can Ciro Immobile once again make the step up?